After you are long gone? 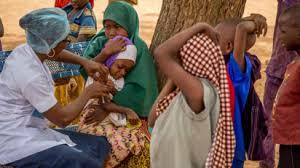 The Nigerian centre for disease control (NCDC) has raised an alarm in February over the outbreak of meningitis across north western (Zamfara state to be precise) Nigeria. It was recorded that as at 30th of March 2017, 282were confirmed dead while on the 4th of April, the death toll rose to 336 and as at April 7, 2017, it rose to 438. This predicament brings us into looking deep into what meningitis is all about. Meningitis from the word or it’s most affected region was coined from the ‘MENINGES’ which involves three membranes that cover the brain and spinal cord. Meningitis occurs when the fluid surrounding the meninges becomes infected. It’s an acute inflammation of the protective membranes covering the brain and spinal cord. 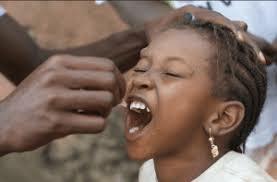 There are several causes of meningitis such as pneumonia, irritation, drug allergies and some cancer related diseases. Apart from these cause which are mere, there are more serious and severe causes of this meningitis which are in two forms namely viral and bacterial infections. The most common of it is the viral infection. It has been discovered that it affects 10 to 15 percent of infants per year. It affects 85% of the entire population, but the most interesting thing about viral infection is that it only affects a small percentage of people and only a smaller percent with viral infection develop meningitis. It is also interesting to know that the viral infection can go away without treatment. Bacterial meningitis is more deadly and dangerous. It becomes chronic if left untreated and unattended for a significant amount of time. It affects about 5% of children and between 20 to 50% of adults which eventually leads to the death of the patient even when proper treatment is administered at the right time. Bacteria that cause meningitis can be found in the respiratory tract, sinuses and nasal cavity. Furthermore, meningitis can be transmitted through body fluid such as blood and body discharge. Symptoms ranging between viral and bacterial meningitis are similar but bacterial meningitis is more severe. Symptoms vary depending on the age which includes decreased appetite, irritability, sleepiness, lethargy, fever, stiff neck, seizure, photophobia(sensitivity to light), phonophobia(sensitivity to sound), nausea and headache. However bacterial meningitis is bound to develop suddenly and its symptoms may include altered mental status and nausea. Meningitis can be very deadly and lethal. This is the reason why it’s important to be medically alert at any time. Once any of the above symptoms are noticed, seek immediate medical diagnosis and treatment. One cannot deduce the presence of meningitis merely through feeling, a doctor is more suited to determine whether one has the disease or not. Meningitis may be deadly but ignorance is deadlier, one must not ignore their health until it’s chronic lest it becomes too late. However, meningitis can be complicated, as certain demographics are more vulnerable to the disease and this includes people with immune deficiency diseases that weaken the immune system like HIV, AIDS, organs or bone marrow transplants. Another set of people prone to meningitis are people living together in relatively small environments, which may include people living in dormitories, barracks, day care centers where people mingle constantly and have close body contact. Pregnant women are also at risk of contacting the disease as it can affect their unborn children and children under the age of 5 are also at a high risk of contacting viral meningitis. In a nutshell, having known about all these, diagnosis becomes necessary which gives rise to the question of how. Doctors can perform a procedure known as lumbar puncture which involves the injection of a needle into the base of tof skull in order to extract some cerebro spinal fluid that can be tested in order to discover whether the patient has meningitis or not. To crown it all, treatment of meningitis is best determined early. Prevention is better than cure, hence ways of preventing the disease should be announced and widespread if not, this article would be incomplete. Maintaining a healthy lifestyle is ultimately paramount, which includes been aware of what goes into one’s mouth, what one puts on their body, the people one mingles with. For those who are prone or vulnerable to meningitis, they are advised to get adequate amount of rest, avoid vices like smoking, avoid contact with sick people and opt for vaccination as early as possible. Sadly the absence of the knowledge of vaccination is the chief reason for the rampant spread of the disease in the northern part of Nigeria. I hope you have been enlightened by this article. Share it and spread the word to as many people you know and together we can cull this plague efficiently. There are two prominent sentences that are uttered in everyday life especially during crisis ‘Life is unfair’ and ‘Life is meaningless’. These two sentences are ubiquitous to the everyday man trying to make sense of his existence. To address the first statement ‘Life is unfair’, I would be remiss if I didn’t highlight its notion, ideally life owes no one anything but is merely a raging sea of randomness that sploshes and splashes to and fro occasionally effecting its contents either positively or negatively. An antelope in the Serengeti that gets devoured by a lioness, obviously wouldn’t have wanted to be eaten but alas it was and its death would be used to benefit the lioness and her cubs. In essence, we come into this world already in motion and expect situations to always go our way. We can’t control the laws of nature, all we can do is live in it and ensure as much as possible to do our best to make it conducive for ourselves. Stop grumbling about the unfairness of life and live in the moment because none of us knows when our end will come. Death is an inevitability for every organism, so why worry about it. 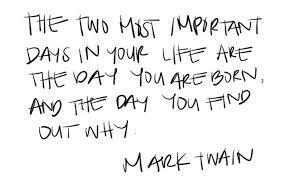 Live in the now and make the best out of it. Concerning the second statement ‘Life is meaningless’ it can be argued that it is closer to the truth than expected. A person born into this world, that grows up without any ambition, simply eating, sleeping and breathing only before returning to the soil can be perceived to have lived a meaningless life. I will once again use a maritime metaphor by saying that life is like a raging sea of purposelessness which a sailor must traverse while searching for clues and adventure that would make him feel fulfilled and satisfied. Just like the sailor, we are all born into a chaotic world filled with ups and downs without any specific direction. You choose to decide what will make you feel fulfilled. 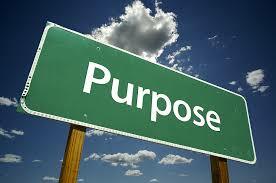 You choose what makes sense and meaning to you. 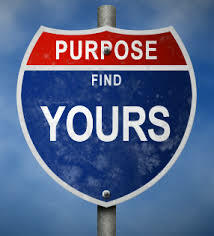 Whenever you feel downcast, that is merely a moment when you have struck an iceberg in the sea of purposelessness but with the right mettle and resolve, you can pull out of the iceberg and return to the sea in search of purpose. In a nutshell, life can be unfair and meaningless but with the right attitude and conviction you can find purpose and engage yourself meaningfully until we eventually run our course on this earth. 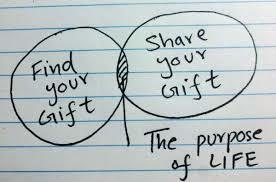 So you are the one that determines where your life will go. Get up, stop complaining and take action. You might fail occasionally but as long as you are alive, you can always change your situation. Life is the ultimate medium and you are the catalyst capable of changing its effects on you. Recently, the first trailer for the upcoming Kingsman: The Golden Circle was released. It rattled the bones and whetted my appetite with its visually satisfying cinematics and explosive action. The first movie was a surprise hit from the visionary mind of Matthew Vaughn, a master at blending action and comedy as seen in his other works like Stardust, X-Men: First Class and Kickass. This new trailer introduces a couple new A-list actors like Channing Tatum(21 Jump Street), Julianne Moore(Still Alice), Halle Berry(Monster’s Ball), Jeff Bridges(The Big Lebowski) and many more. The trailer showcases action and comedy reminiscent of the first movie and seems like it would continue its satirical deconstruction and parody of spy movie tropes. Kingsman is looking to be more expansive and franchise worthy. Hopefully we will get a nice and even better treat than the infamous church scene from the first movie. The movie comes out on the 22nd of September 2017. Remember manners maketh a man. The Fate of the Furious also known as Fast 8 is the eighth installment in the Fast and the Furious franchise which began in 2001. The story still follows Dominic Torretto(Vin Diesel) and his motley crew of skilled associates. The synopsis reads as thus, Dom has finally settled down with his wife Letty(Michelle Rodriguez) until a new threat arises in the form of a cyber terrorist named Cipher(Charlize Theron) forces Dom into working for her and turning him against his team, who must now rally and collaborate with reluctant allies to take down Dom and Cipher. This will be the first film not to feature Paul Walker since his tragic fatal car accident in 2013. The film is directed by F. Gary. Gray most popularly known for his astounding work on Straight Outta Compton. This movie also happens to be the highest grossing opening of all time with an opening weekend of $532 million. 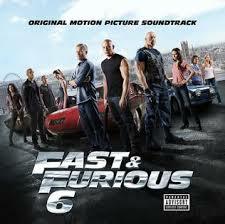 The Fast and the Furious films have become popular due to their high octane action set pieces and exotic locations. 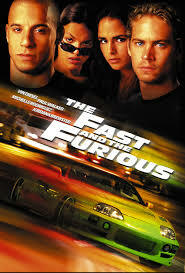 The franchise started way back in 2001 with The Fast and the Furious which was about an undercover agent Brain O’Connor(Paul Walker), infiltrating an elite street racing crew led by Dom Torretto, in order to expose them for their frequent hijacking of expensive electronic equipments from truck drivers. The movie was a hit and thus began the the little bud which would eventually bloom into this current worldwide phenomenon. 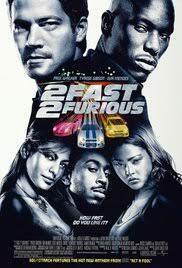 Next came 2 Fast 2 Furious in 2003 which introduced the character of Roman Pearce(Tyrese Gibson) and Tej(Ludacris). 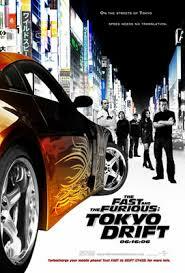 This was followed up with The Fast and the Furious: Tokyo Drift in 2006 which occurs chronologically after the events of Fast 6 and concurrently with Fast 7. This was also the first movie in the franchise to take place in an exotic and foreign location. Furious 7 came next in 2015 and fully fleshes out the character of Deckard Shaw(Jason Statham) who was briefly showed in the previous movie. The movie takes place majorly in Abu Dhabi this time. This comes full circle to the incumbent release of the Fate of the Furious and with more installments in the works, this is one franchise with a long runway and ample fuel to keep going for as long as its gears keep turning and the cash keeps rolling and until we the audience can no longer stomach the outrageous stunts and epic cinematics. Till then we will ride on.